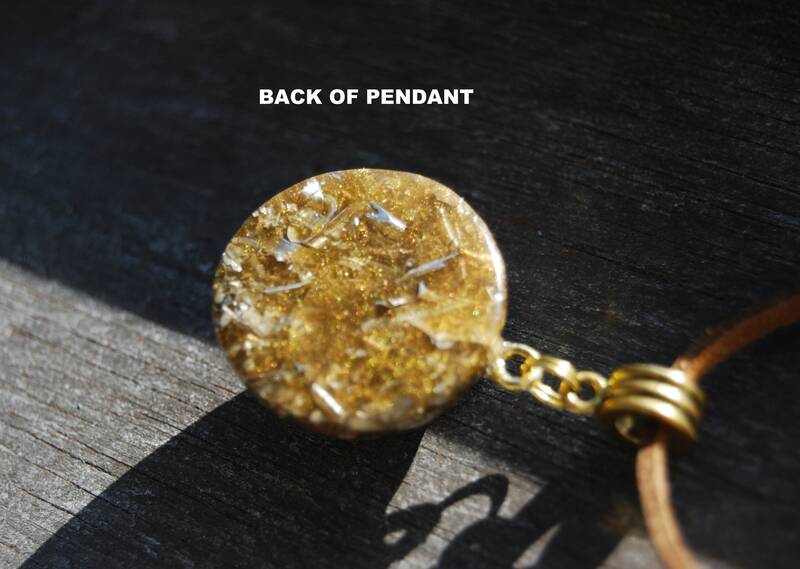 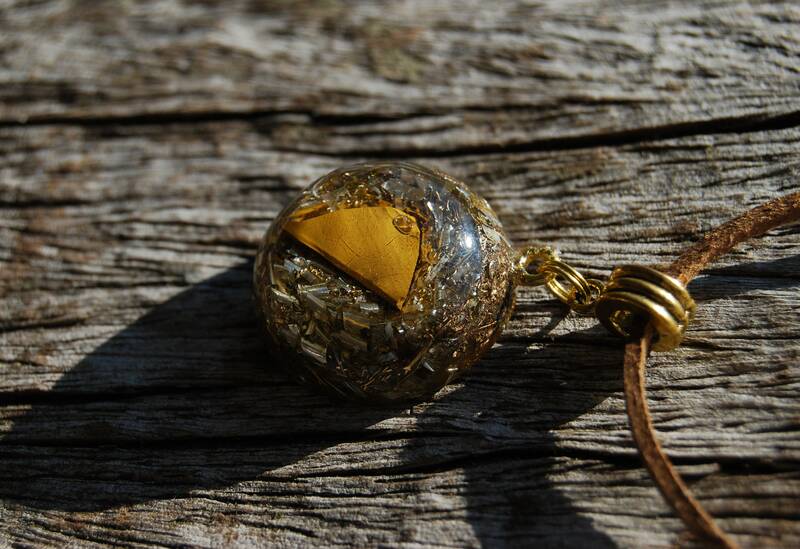 This lovely 2.7 cm / 1.1" in diameter pendant consists of lots of brass, aluminum, bronze and copper shavings. 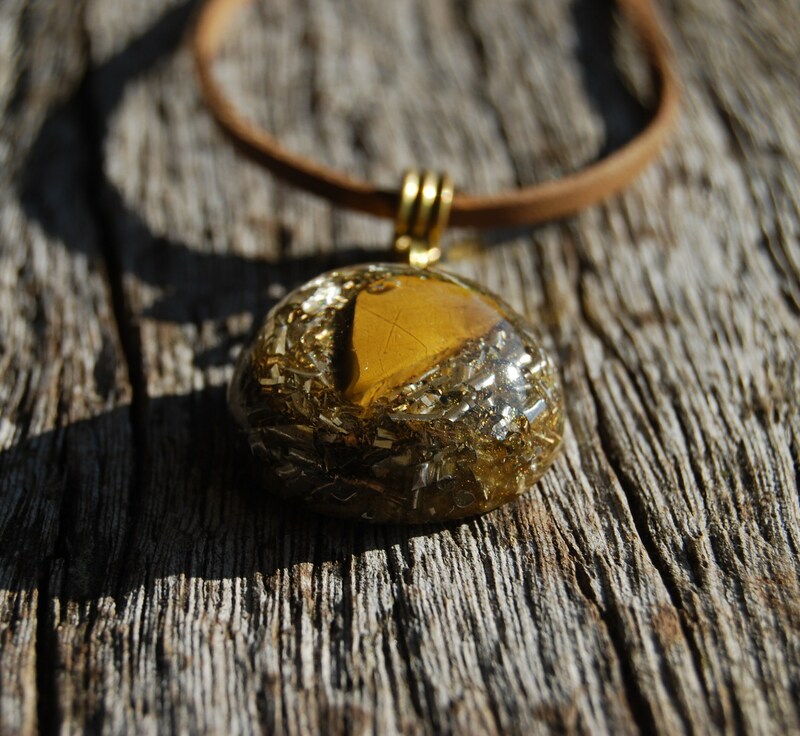 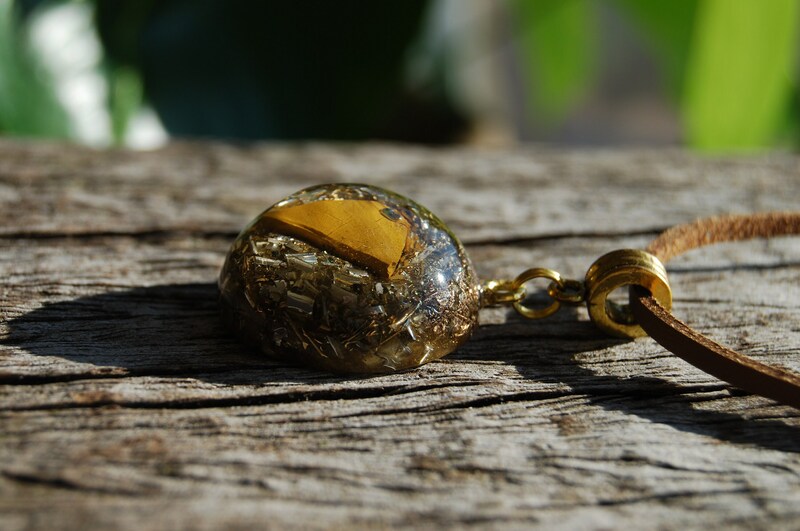 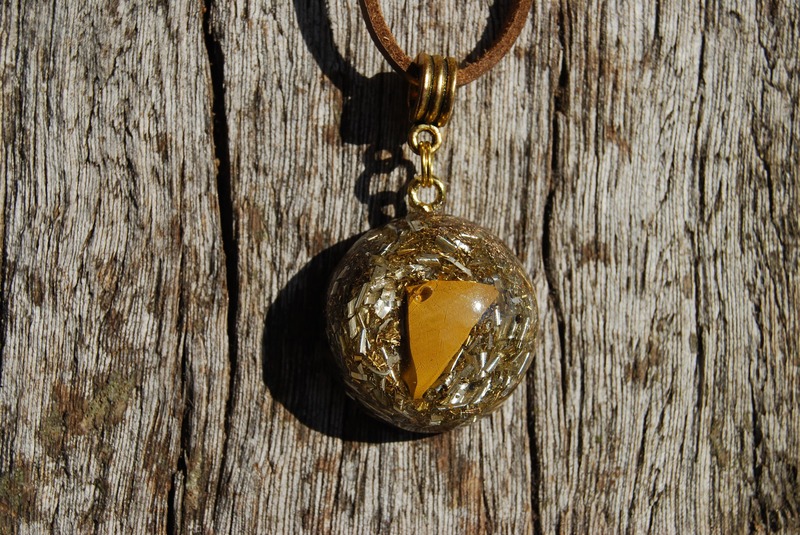 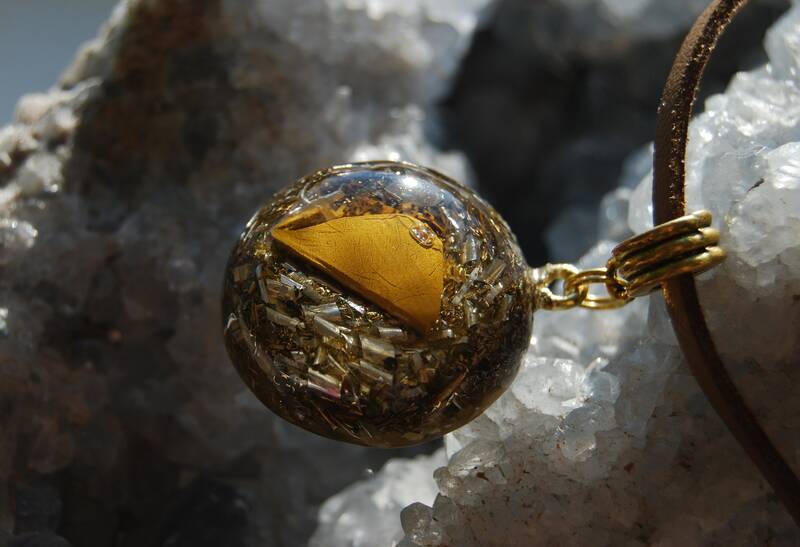 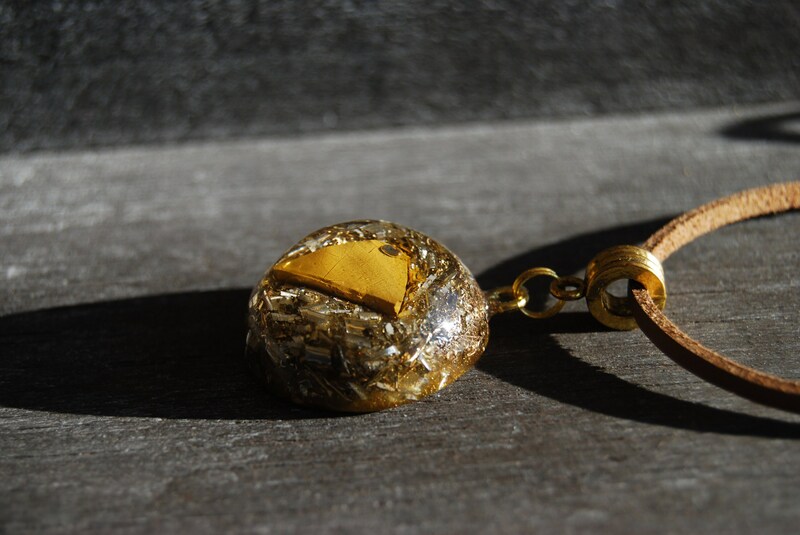 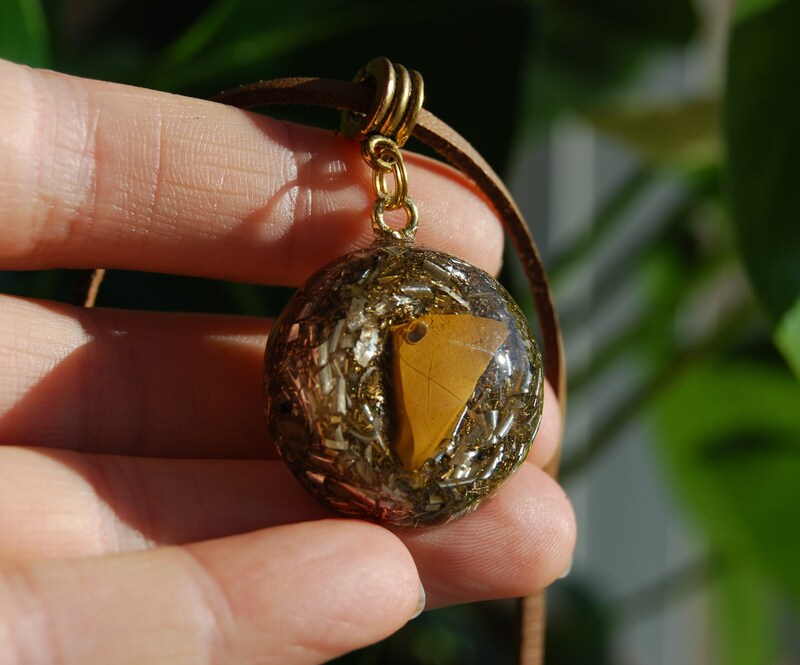 The main stone is a yellow Jasper which you can see in the front. 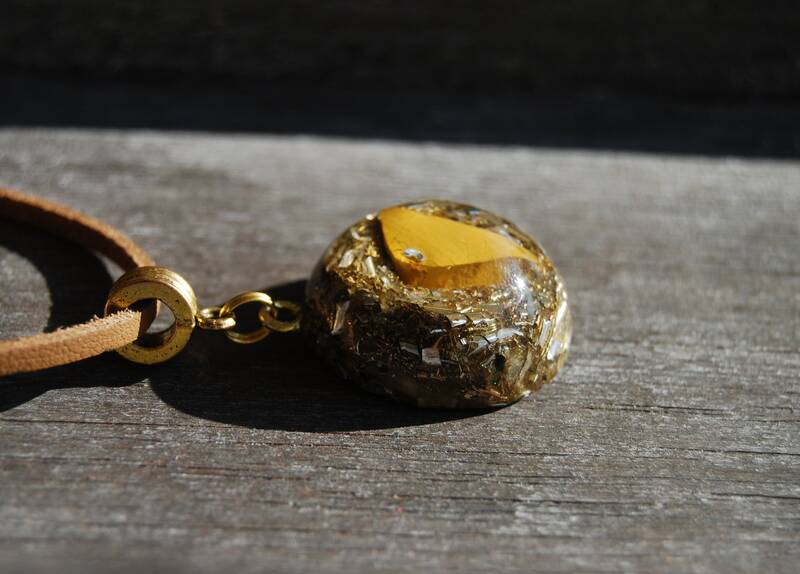 It futhermore consists of Rose Quartz (self - love), Pyrite (to enhance), Shungite, black Tourmaline (to protect and ground excess energy) ,Rhodizite (to enhance) and clear quartz (for piezo-electric effect) all within a durable resin setting.